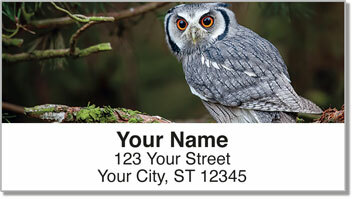 You'll find stunning photography featuring four different species of owls on unique return address labels available only from CheckAdvantage. These beautiful birds of prey are symbols of wisdom and power. 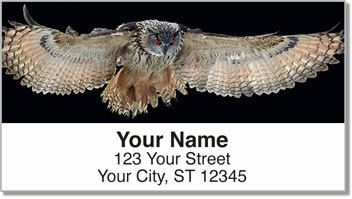 The mystique of the owl has made it one of the most feared and loved birds in the world. 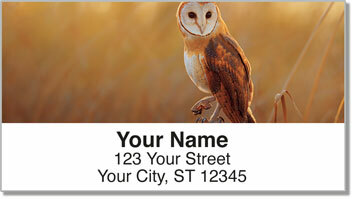 Owl Address Labels depict incredible shots of Barred owls, young Great Horned Owls and a Burrowing Owl. Choosing this convenient product is wise decision if you want to save time sending out mail. 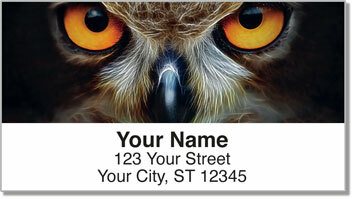 Get your very own Owl Address Labels right now! You can also complete your order with matching personal checks in this style.